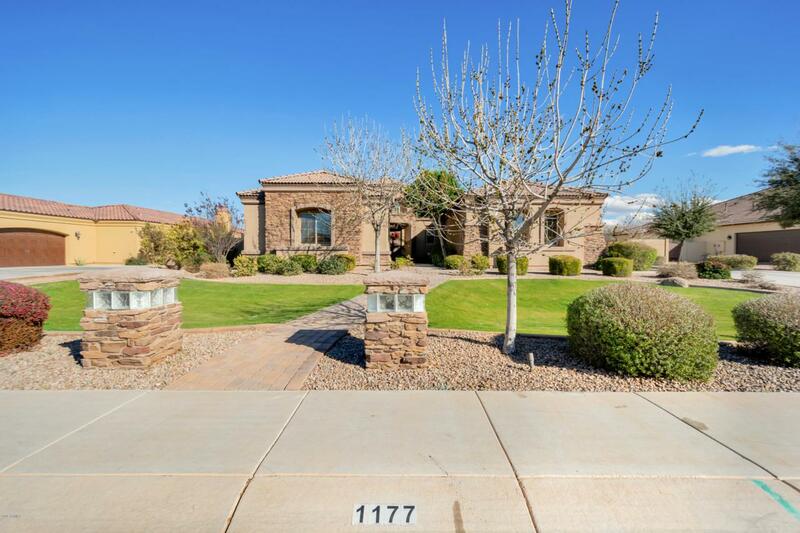 Custom home on cul-de-sac lot snuggled inside Gilbert with 4 bd/3.5 bth, 3208 sq ft split great room plan on nearly 20,000 sq ft lot. 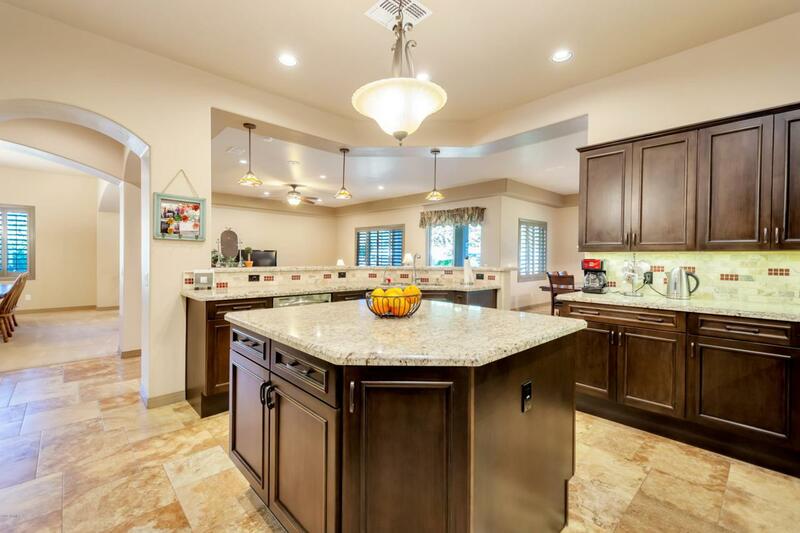 Kitchen has an extended breakfast bar along with a center island, dark maple cabinets, granite counters, SS appliances including dble oven w/convection cooking, built-in microwave, electric cook top & dishwasher. Tile in all the walkways & wet areas. Lg kitchen nook could hold a 12 ft table as would the formal dining rm (or great space for a game table or rm conversion to den/playroom). 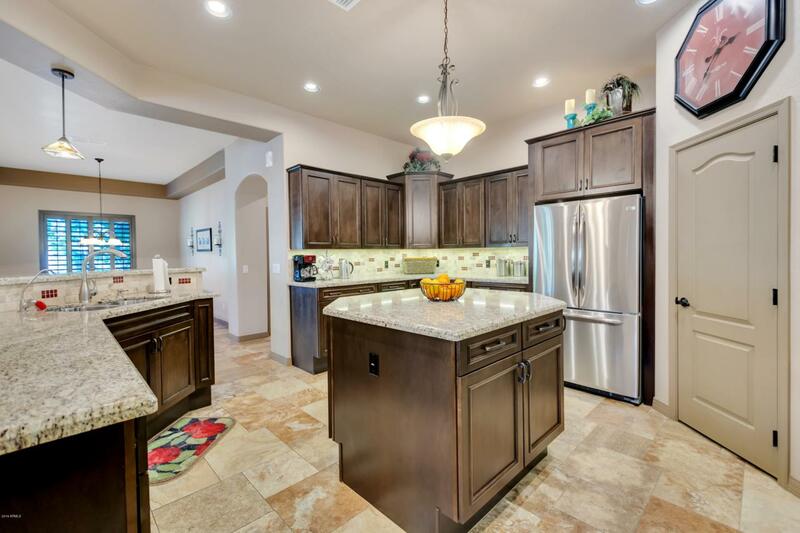 Master offers his & her closets, & separate vanities along with tile surrounds at shower & soaking tub. 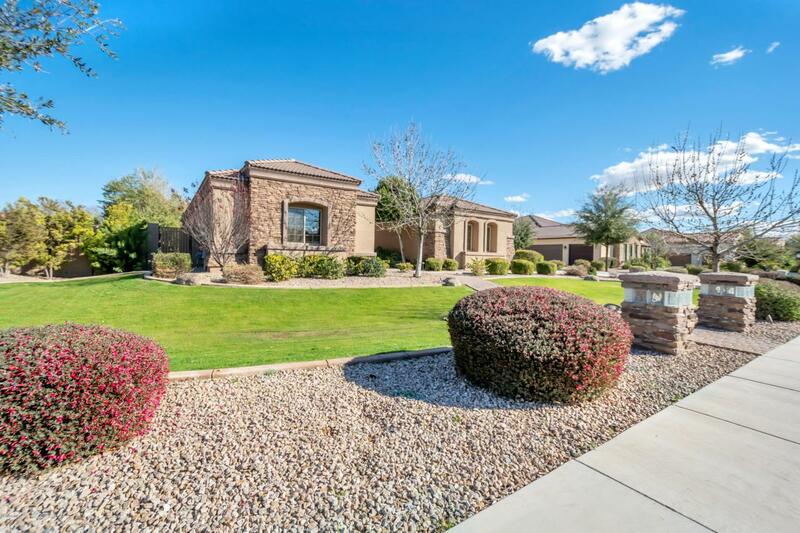 Mature lush landscaping with a pergola & gas fire-pit in backyard. 3 car side entry garage + RV gate. Energy efficient home with post tension. A MUST SEE!